Home / Non-Profit / When Should a Nonprofit Form a Subsidiary? Like any other organization, a nonprofit can acquire controlling interests in other legal entities. Although a separate organization can create a bit more administrative work, it can offer advantages in the right circumstances. Here are a few examples of when it might come in handy. Compartmentalizing risk. A significant reason for forming a nonprofit corporation is to take advantage of the liability protections it offers to its management. When a nonprofit is thinking about going into a new type of work that creates the potential for new and significant risks, creating a new legal entity to “house” those risks can be a good part of a broader risk-management strategy. This can be especially true for predictable risks, like recurring rents on a building. Joint ventures. 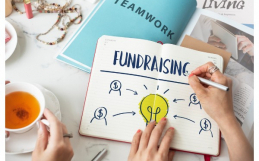 When two or more nonprofits get together to run a new program it can be useful to create special purpose entity that each nonprofit contributes to. The new entity can have its own governance rules and leadership group, which helps to resolve conflicts that might otherwise come into play between the different participants’ organizational requirements. Creating a special-purpose entity can also ensure that the controlling organizations have limited exposure to it in the event that the new effort doesn’t work out. Branding. When forming a separate organization it’s always important that it serve the controlling organization’s broader mission. Donors to the controlling organization need to feel confident that their funds are not being shuttled into another organization that isn’t doing the work they expect it to be doing. That said, there can be advantages to forming a special purpose entity to operate a new project or initiative that the nonprofit’s leaders believe could benefit from having its own, distinct brand. Although a separate legal entity isn’t necessary to create separate “brands,” separating a new process into a separate entity can help to distinguish it from the controlling organization. Creating a new legal entity involves careful planning, especially with respect to tax consequences. In the joint venture context, creating a new entity often requires detailed negotiation. The Church Law Center of California supports the governance and management of secular and religious nonprofits. 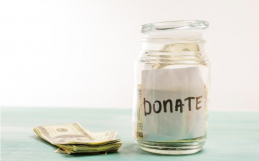 We can help your organization organize and operate in ways that best support its charitable mission. Call us today at (949) 689-0437 or reach out to us through our contact page.